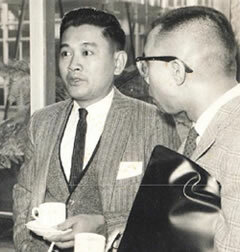 The field of endocrinology in the Philippines had its auspicious beginnings in the 1950s. Dean Agerico BM Sison of the UP College of Medicine (UPCM), serving as Chairman of the Department of Medicine, set up the diabetes and thyroid clinics at the Philippine General Hospital (PGH) in 1953, naming Dr. Regino Navarro and Dr. Paulo Campos as heads of these clinics respectively. Dr. Augusto Camara joined the UPCM-PGH in 1955 and established the metabolic unit under a US National Institutes of Health federal grant. During this time, the roots of internal medicine as a distinct discipline were evident, leading eventually to the founding of the Philippine College of Physicians (PCP) in 1953. The formation of subspecialty organizations within the field of internal medicine then followed. It was in this context that the budding disciplines started to firm up their foundations in the late 1950s. The field of endocrinology started to develop along with nuclear medicine and the other subspecialties. In July 1956, the PGH radioisotope laboratory was established, pushing the growth of endocrinology and nuclear medicine during these formative years. Through grants, notably from the China Medical Board of New York, young physicians were sent to US medical centers for training in endocrinology and related disciplines. Among these scholars were Drs. 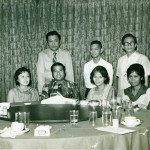 Paulo Campos, Angel Florentin, Gabriel Carreon, Leland Villadolid, Norma Gaffud, Herminio Germar, Flora M. Pascasio and Augusto D. Litonjua. Upon their return to the country, these doctors contributed to the establishment of endocrinology as a specialty and were among the endocrine pioneers in the Philippines. 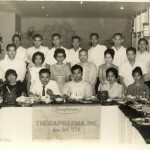 It was in the latter part of 1961 when Dr. Augusto D. Litonjua, with the assistance of Mr. Meneleo Hernandez, then manager of Organon Philippines, brought together 16 individuals interested in the teaching, practice, and research of endocrinology and metabolism. These idealistic physicians initially represented five medical schools, namely, University of the Philippines (UP), University of Santo Tomas(UST), University of the East (UE), Far Eastern University (FEU) and Manila Central University (MCU). 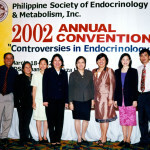 The Philippine Society of Endocrinology and Metabolism (PSEM) was then formally organized and held its first convention in 1962. The first officers of the society were Dr. Augusto D. Litonjua – President; Dr. Gabriel Carreon – Vice-President; Dr. Elena Eustaquio-Icayan – Secretary-Treasurer. The other founding members included Drs. Violeta Angara, Jesus Bustos, Leticia Angeles, Carmen Asuncion, Asuncion Bernales, Benjamin Buensuceso, Jesus Nolasco, Alfredo Ortiz, Carmen Salgado-Ora, Leland Villadolid, Rogelio de Leon, Manuel Macapinlac, and Benjamin Baltazar. Increasing membership, specialty recognition and certification were the initial challenges of the fledgling society, parallel to the developments in the PCP and the other subspecialty societies in the 1960s. Important strides were made early on despite these limitations. In 1963, the Philippine Specialty Board in Endocrinology and Metabolism (PSBEM) was formed under the helm of Dr. Leland Villadolid. In the same year, under the presidency of the Dr. Villadolid and with Drs. Augusto Litonjua and Flora Pascasio as scientific committee co-chairs, the PSEM hosted the 3rd Asia and Oceania Congress of Endocrinology (AOCE) in Manila. Two hundred participants from 11 countries attended this congress. The two–volume Congress proceedings edited by Dr. Litonjua were distributed to medical libraries around the world. 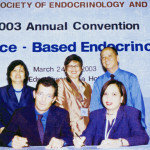 It was during this congress that a federation of the endocrine societies of Asia and Oceania was conceived after initial discussion between Dr. Litonjua and Dr. Basil Hetzel, the discoverer of the long acting thyroid stimulator (LATS) from Australia. Representatives from Australia, New Zealand, Japan, China, Hong Kong, India, and the Philippines attended the initial meeting. 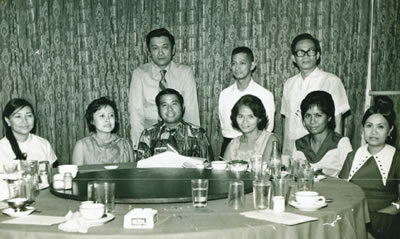 In 1964, PSEM was officially accepted as a member of the International Society of Endocrinology. 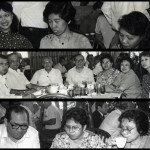 The PSEM Constitution and By Laws were first drafted under the term of Dr. Buensuceso and were subsequently approved by the Securities and Exchange Commission on October 4, 1966. In 1967, the first fellowship training program in endocrinology and metabolism was started at the University of the Philippines-Philippine General Hospital (UP-PGH). With the support of Dr. Paulo Campos as Department of Medicine Chairman, the Medical Research Laboratory at the UP-PGH provided the environment for conducting early research works on pituitary-adrenal axis, parameters of insulin action and endemic goiter and I-131 resin uptake in Filipinos. Among the prolific researchers was Dr. Flora M. Pascasio who would contribute more than a hundred publications in endocrinology, genetics and nuclear medicine. These outstanding pioneers excelled not only in research but also in mentoring young students in the field of endocrinology. More students and residents were encouraged to be trained as endocrine fellows and to seek further training in institutions abroad. Dr. Leticia de Asis-Buenaluz was the first PGH endocrinology fellow who had this opportunity for further training in 1967. 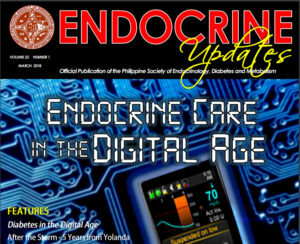 Clearly, the first decade of the PSEM was focused on the growth of the society, connecting the “endocrine pioneers” and welcoming to its fold new students of endocrinology and other 33 disciplines. 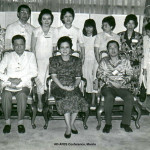 Many of these pioneers eventually held important leadership positions not only in the PSEM, but also in the Philippine Diabetes Association (PDA, founded in 1958) and the PCP. Even during these early growing years, the PSEM has already started strengthening its status by building bridges with endocrinologists in Asia and the rest of the world. These initial achievements paved the way for PSEM’s unwavering pursuit of excellence in Philippine endocrinology.